The great city of Denver wants to solve its high cost rental problem and help working class homeowners at the same time. This is one ambitious plan, but who knows? It may just work. Like many cities across the U.S., Denver is taking an experimental step toward making the city’s housing economy more sustainable. Here it is in a nutshell: Fannie Mae wants to lend money to qualified homeowners so they can build an additional dwelling on their existing property, which would then be rented out at below-market rates. This plan would provide the homeowner with additional income and the renter with affordable housing. Could it be a win-win? Maybe. The article doesn’t go into any specific numbers or how exactly it will all work. One thing it does briefly discuss is that the city would get out of the way and act more as a partner to help get the logistics, like building permits, done quickly and without red tape. I suspect this level of involvement would be less costly and hopefully expedite the process. The city is ultimately what could make or break this project. I guess only time will tell. The answer she ended up with turned out to be simple: turn low-income homeowners into landlords to help them afford to stay in gentrifying neighborhoods. Her project involving accessory dwelling units, or what many know as granny flats, was one of three “innovative ideas” that Fannie Mae said this year it is funding in hopes of developing ways to address the nation’s affordable housing shortage. Experts say the project demonstrates that solutions that sound simple must be multifaceted and ambitious when the problems they target are as challenging as income inequality and America’s affordable housing shortage. Fannie Mae in late 2017 put out a call for possible solutions to the national affordable housing shortage and the ways in which the problem exacerbates and is influenced by a lack of economic opportunities in some communities. The financier dating to the New Deal era is behind the 30-year, fixed rate mortgage and dedicated to housing Americans. It is committing $10 million over two years to the affordable housing challenge. “We saw lots and lots of proposals that involved ADUs,” says Maria Evans, vice president of Fannie Mae’s Sustainable Communities Partnership & Innovation Initiative. The west Denver proposal stood out, she says, because it is “much more comprehensive and streamlined” than other ADU-focused proposals Fannie Mae reviewed. “West Denver was a good solution to help long-term residents fight off that dislocation that often comes from gentrification,” she says. According to a 2017 city policy paper, housing costs in Denver “are growing at such a rapid pace that incomes cannot keep up.” Average rents rose 46 percent, from $941 a month to $1,376, between 2011 and 2016. It’s not just renters who feel the pressure when the cost of living rises. Martinez-Stone notes many west Denver residents own their homes, and they are seeing their property taxes balloon while their incomes stagnate. Frank Trujillo lives with his wife in the house his father, a former coal miner, bought when he moved with his young family from southern Colorado in the 1960s. Trujillo’s father worked as a janitor in Denver. Trujillo quit school himself when he was 17 because he wanted to go to work. He’s washed dishes, poured concrete foundations and installed storefront windows. For the last 30 years he’s worked in construction. In today’s Denver he says he couldn’t afford to rent, let alone buy a home as his laborer father was able to do. The son is meticulous about the two-bedroom home his parents left him. The house’s white siding and aqua trim gleam. “I want to dress it up so that when I die, my parents will say, ‘Boy, he sure took care of the place,'” Trujillo says. Converting his detached garage into an ADU rental might help with his tax bills. But Trujillo, who had not heard about Martinez-Stone’s project when he was interviewed in mid-September, is hesitant to take out a loan for renovations. According to a housing market analysis prepared for the West Denver Renaissance Collaborative, Trujillo’s largely Hispanic part of the city has been hit harder than other areas by foreclosures, and Trujillo’s loan-shyness may be an example of the way national trends can play out locally. Several studies have shown that African-American and Hispanic homeowners were disproportionately affected by the foreclosure crisis in the first decade of this century. In the coming months Martinez-Stone’s collaborative – which brings together city officials, a community development nonprofit, a public-spirited foundation, a quasi-municipal housing corporation and west Denver residents – will be trying to persuade homeowners like Trujillo to build ADUs. Working with partners that include Habitat for Humanity, Martinez-Stone has designs for ADUs that are relatively cheap, in part because they involve prefabricated elements. The west Denver designs are to be pre-approved for what would normally be a laborious and expensive construction permitting process. The homeowners also will receive help getting loans for construction and training on managing the property they will rent at below-market rates. Success will be determined by how many residents are able to stay in their homes, and depends on recruiting participants and then helping them get financing, find tenants and manage their properties. Building affordable units one ADU at a time may seem like an incremental approach to the housing shortage. But Craig Adelman of the Low Income Investment Fund says it can be part of a network of strategies, including building more multifamily affordable housing. While relatively untried for this purpose, he said ADUs could be a highly efficient solution, in part because of the use of underutilized land. And the method could take off. “We’ve got millions of homeowners out there,” says Adelman, whose fund invests in community development projects. Adelman is his fund’s main liaison to the Strong, Prosperous, And Resilient Communities Challenge, a $90 million national public-private attempt to ensure no American communities are left behind as infrastructure and other projects spur development. 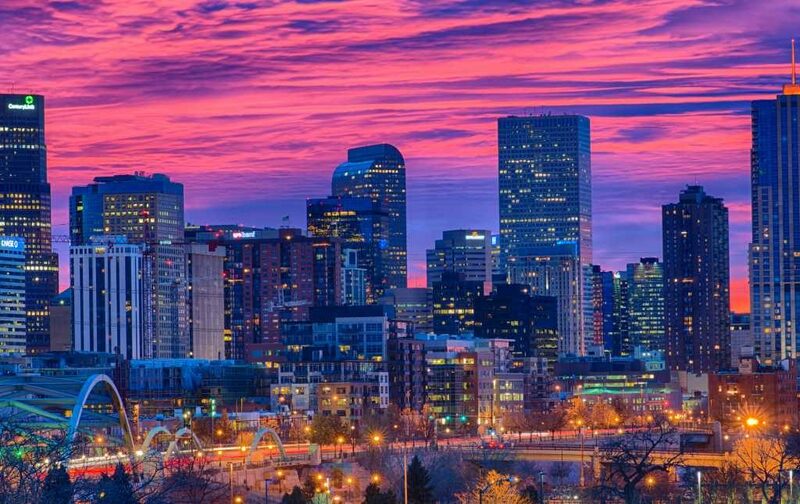 Halfway through its planned three-year initiative to support programs in Denver as well as Atlanta, Chicago, Los Angeles, Memphis and the San Francisco Bay, SPARCC identified Denver’s ADU idea as among the four most promising to emerge in any of the six sites. The west Denver project was the only winner involving ADUs in both the SPARCC and Fannie Mae competitions. Among those watching the west Denver project is Jeff Martinez, president of Brothers Redevelopment. Martinez-Stone, who is not related to Martinez, has emphasized training for new landlords. That also is a consideration for Martinez, whose company has long built and managed affordable housing in Denver and provided other services to low-income homeowners and renters. An ADU could be attractive to older homeowners on fixed incomes, Martinez says. They might prefer to live in the smaller ADU themselves, freeing larger houses to rent. Martinez, who is not connected to the west Denver project, is exploring ADU designs with ramps and other features that would appeal to elderly tenants. Denver has been experiencing an economic boom that has drawn newcomers, many college educated high-earners, straining the housing supply and leaving longtime residents of once neglected neighborhoods feeling left behind. A 2016 city study of gentrification noted more than 1,000 families move to Denver every month. The study identified most of west Denver as among areas “vulnerable” to gentrification because of such characteristics as being located in the kinds of urban areas attractive to newcomers and having a large population of renters and people earning low incomes. “We will be forever challenged with affordable housing if our wages don’t keep pace,” says Deborah Ortega, a member of Denver’s City Council. City officials are considering expanding the use of ADUs as a way to build both wealth for homeowners with low incomes and to spur construction of affordable rental units. Ortega says any expansion should be approached carefully to ensure, for example, that rents are indeed kept affordable. West Denver resident Miguel Ramirez listened intently at a forum held in a community center’s multipurpose room as Martinez-Stone explained the ADU project. Sitting under a basketball hoop, Ramirez raised his cell phone to take a picture of her slide showing the requirements to participate, which included having lived in west Denver for at least five years. Ramirez, who works as a street sweeper for the city, has lived in the area 20 years. In the last seven, he says, his property taxes have doubled. A health emergency or serious car trouble could mean ruin, he says. He adds many of his neighbors are in the same precarious financial situation, but hoping they have a place in a burgeoning city.